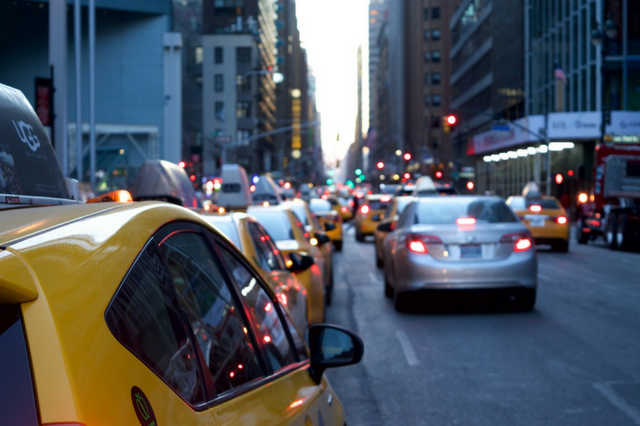 Traffic congestion is one of the leading causes of automobile accidents across the country. This is a particular issue for new drivers, who may not be familiar with how to safely navigate their way through heavy traffic to their destination. Click here if you are looking for parallel parking tips. To help new drivers stay safe in heavy traffic conditions, we’ve put together five tips for driving in heavy traffic from our Littleton drivers Ed team. You’ll need your full attention to be focused on the road and the events surrounding your vehicle. This means it’s time to put away the cell phone, turn off the radio station and place the GPS back in the glove compartment for the time being. You should also tell any passengers to limit their talking while you make your way through the traffic. When you know you’re about to enter into heavy traffic, you should take your foot away from the accelerator and begin to coast forward, allowing your vehicle to slow naturally. This allows you to conserve your gas costs while also giving the traffic a chance to break up before you arrive at the location. When driving in stop-and-go traffic, your speed can limit your reaction time. The faster your car moves the less time you have to react. Try to limit your speed as much as possible until the traffic clears. By driving at least 5 mph per hour below the posted speed limit, you can give yourself an extra second or two to respond if a nearby vehicle enters your lane unexpectedly. In heavy traffic, it’s important that you’re not heavily influenced by your emotions. You might be frustrated after a long day and you just want to be at home, but it is much easier to make mistakes as an angry driver. Try to remain calm and simply focus on defensive driving. Remember to watch the actions of cars around you. If they put on the brakes, it’s important that you prepare to do the same. In challenging traffic conditions, all drivers should know exactly how you’re going to act. Make sure you give a significant amount of notice by putting your indicators on several seconds before you plan to turn. This will help you avoid collisions and confusion on the road. Our expert driving team is now helping new drivers gain a greater understanding of how to navigate challenging driving conditions. To learn more, call us today and discuss a defensive driving course with one of our Littleton Drivers’ Ed team members.